My husband and I recently listed our condo at Misiones del Cabo for sale with Nick Fong. I am a real estate Broker so was watching the process quite closely throughout. He and his team were good communicators and kept us informed of showings, feedback, and after an accepted offer they communicated regularly. We were totally satisfied with Nick and all the members of his team. We would highly recommend them. Thank you so much for all you guys did for us. It’s been a pleasure working with all of you. I would recommend Nick Fong and his team as well as the network he uses to close the sale if you’re trying to sell your house. All are very professional and knowledgeable when it comes to selling real estate. I especially appreciated the guidance in staging my house and putting me on the correct price to ask. Nick knows his business, Evy took the time to take me shopping for bedspreads, and Consuelo was happy to help me take care of things that needed attention while I was in the states, she was a huge part in the house selling so quickly and ALWAYS had a great attitude. Bottom line, it sold fast, I got more money than I thought would get (all cash) and it was painless. I’ve lived in Cabo 12 years, they’re the best I’ve seen! Any concerns or issues we might have had as sellers were addressed immediately. Thanks to their knowledge and the interaction they had with us the whole process went smoothly. We highly recommend Nick Fong and his team to sell your property. “Just sold my condo in the Los Cabos area, in the seven figures, with Nick Fong along with Consuelo and Evy from the Los Cabos Agency. It took them only 10 days to find the right buyer and two months to close the deal. A performance at a level that is rarely seen? As usual, there were bumps on the road but Nick, Consuelo and Evy were all quick and efficient in smoothing them out and the final result was more than satisfactory. The success we had was a result of their excellent understanding of the Los Cabos market, and their knowledge of the best people for making things happen as smoothly as possible in the closing procedures. I was particularly impressed with their ability to find the right experts for advice on tax issues. My husband and I recently sold our Cabo condo in Mexico. Using Nick Fong Los Cabos agent was the smartest decision we could have made. They were professional from start to finish, every agent having personality plus. When we wanted to find a agent we put in the search engine "best realtor in Cabo"
We highly recommend the team at Los Cabos Agent for superior services from start to finish. Let's start with Nick Fong. We first contacted him online in January, 2017 as we started our search for a condo in Los Cabos. He regularly sent us information on properties that met our criteria. He then put us in contact with Brent Fong, who called us and regularly keep in contact prior to our April, 2017 visit to Cabo. Once in Cabo, Brent showed us the properties that he felt met our needs. The next day, we made an offer on our dream condo. Brent started the negotiations on our behalf. We came back to Washington State after a 2 week vacation and concluded the negotiations via phone calls and texts. We later closed the sale with Brent acting on our behalf. We were not present for the closing but the team at Los Cabos Agent acted as our agents. At that point, we made arrangements for Consuelo at Los Cabos Agent to find a long term renter. She advertised, screened and secured a wonderful tenant for us. At that point, we obtained the services of Rocio, also of Los Cabos Agent, to be our property manager. She has been wonderful, as well. She manages the day to day property management issues including arranging for cleaning, repairs, finances, paying taxes, Home Owners Association fees and the like. 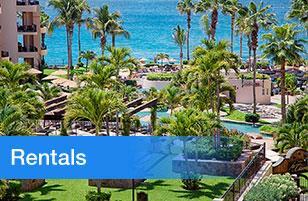 Finally, Annalee, also with Los Cabos Agent, provides timely and accurate accounting services for us. This TEAM is wonderful. We've been vacationing in Cabo for 25 years and decided it was time to buy our dream condo in paradise. They helped us find a nearly new, three bedroom, 2 bath ground floor home in a gaited community with unobstructed ocean views of the Arch. Our development is full of amenties like restuarants, delis, pools, spas, work out facilities and the like. We plan on living there for several months each year in the future. It's been 9 months since we bought our condo and the Team at Los Cabos Agent continues to help us every step of the way. This is a testimonial, mainly, but also the biggest accolade I could give to you all. You have shown me by your expertise, care, kindness, what has been mostly in the past a minefield of uncertainty, I have come into the light. You have dealt with the photography, showings, the negotiations, the difficulties, i.e. Horrendous rain storms, earthquakes, difficulties in the closing procedure, with pure professionalism, I could not be happier with my decision, I would highly recommend you to potential sellers and buyers alike, my heartfelt thanks to you all, eternal gratitude to you Nick and your entire team, thank-you, kindest regards Irene. Nick and his team were awesome to work with. We looked at so many places and finally we found the perfect one for my family. There is a reason Nick is the number one for Cabo!! Hi Nick, Evy, Chrys, and Consuelo. Linda and I want to take a moment to thank all of you for your excellent efforts and success in selling our Cabo home. From our initial contact where you outlined your sales program, and our obligations to prepare our home for sale, to the final closing, each, and all of your staff made a great effort toward a successful sale. THANK YOU. We will miss Cabo, but will return as visitors to see all of our friends. I just want to share with everyone what an amazing, stress free and seamless process Nick and his team provided to me in selling my condo in Cabo del Mar. All the team was really great at keeping me up to date with any issues that came up in the property or suggestions that they had to make the showings better. Nick was great at providing realistic time frames as well as pricing options based on what was happening in the market. Nick additionally helped me have detailed options regarding various price points. All in all this was a great experience and I am sure I will be working with Nick and his team in the near future if I have new real estate needs in Los Cabos. Thank you all! Nick and his team were top notch. They assisted my wife and me to sell our two properties so we could move into our next home. 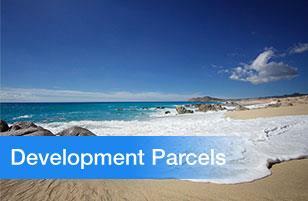 Whether you are buying or are selling property in Los Cabos, they will help you succeed in obtaining your objectives. I look forward to doing more deals with Nick and his team. My husband and I met Nick 7 or so years ago when we first explored the option of purchasing in Cabo. We purchased our first home in Cabo last year, and just closed on an investment condo with Nick this past month. We didn't see Nick during the second transaction b/c he has a great Team supporting him, and as expected everything went very smooth. He found us the PERFECT condo and we look forward to doing more business with him in the future. My husband and I just closed on our home in Cabo with Nick and his team. They were excellent from start to finish. Nick kept in contact with us and let us know what was going on through the entire process. It was much smoother than we thought and we are sooooo excited to have a home in Mexico. It has been a dream of ours for several years and it's now a reality! Thanks Nick!!! Nick and his team were invaluable throughout the negotiations and closing process. Whether we were in cabo or in the U.S., the lines of communication were always open and responses very timely. Rocio and her team have likewise been wonderful property managers, helping get us established in cabo and managing our property with care and expertise when we are away. We now consider Nick and Rocio friends, and professionally highly recommend them without reservation. My wife and I are from Northen Ireland and we have just sold our property with Nick, we have not been able to travel to Cabo at all since we have listed the property with him so we have never met , he came highly recommended by our property manager and he has certainly live up to that reputation. The whole selling proccess has been conducted via Skype and email and yet we always been kept fully informed and all Nick's advice has been excellent. Nicki Fong was very helpful in our search for a place in Cabo San Lucas. We met Nicki about 6 years ago to begin our search. We knew it would be a few years before we were able to retire ,but we wanted to live in Cabo. Nicki took the time whenever we were in Cabo to show us what was available . He also made sure to keep in touch when we returned back to the US to keep us update. Nick has great knowledge of the area , is very honest in his dealings with you and will do his best to get you your dream home. He was able to find us a perfect place that met our needs. We are very grateful to have found Nick and would highly recommend him to everyone. Nick is great to work with. He's on top of the market and answers all my questions. Thanks for selling my house! Amazing team to work with, highly recommended! Nick is the best! Nick Fong and crew are honest, responsive and gave me the true feeling of what customer service should be. I highly recommend! My wife and I are from New York, NY, and have been working the real estate market there for some years. 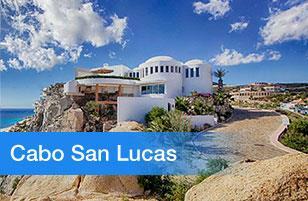 We met with Nick on 2 seperate days to browse available real estate in both the Cabo San Lucas area and San Jose. Nick was simply excellent. Smart, courteous, professional and knowledgable. Nick was an absolute pleasure to work with in the sale of our lot in Cresta Del Mar. I highly recommend him to family and friends as the go to realtor in Cabo San Lucas. Thank you Nick and the Los Cabos Agent team! We recently went down to Cabo for 3 days on a house hunting mission. Evy was our agent and she was fantastic. Everyday she picked us up right on time and we searched and looked at properties for the best part of each day. We were looking for the perfect place/deal so all in all we probably looked at 15 places. One of the days Evy wasn't feeling great but that did not deter her - she showed up, put on her best face and off we went. We could not have been happier with the entire situation - from the preliminary emails to the day we met with Evy. Very professional and very thorough. Highly recommended - 5 stars!! Muy Bueno!! We think Nick Fong is the BEST! We needed to sell our condo and he did so very quickly. We thought the sale could potentially take months, but he had a buyer for us before we even had the listing pictures done. WOW!!! Good work Nick! He is professional and knowledgeable. He explained the steps involved and got us set up with a Notary. We were unable to come to Cabo to sign papers, and Nick helped facilitate the transaction through a Power of Attorney. We would not hesitate to recommend Nick to others who are purchasing or selling. We have always been very impressed with Nick. We have now bought our second home through Nick Fong. This time we were buying a rental property, and trusted Nick to locate, negotiate and put the property under contract a week before we were able to travel to Cabo San Lucas. The property was all Nick described it to be and we felt he did every due diligance to ensure we made a smart investment in the property. Nick has been an amazing agent for helping me understand Cabo real estate and to help me make the best decisions for what I am looking for. Nick has provided me with straight and honest answers to all my questions and I have felt that he has always had my needs and my best interest in mind in all that he has advised. If you are looking for an agent in Los Cabos, you will get the best service and advice from Nick. Thank you again Nick for all you have done for me thus far. I look forward to our future endeavors! Nick Fong is one of the most efficient, organized, personable real estate professionals I have ever dealt with. The process of purchasing in Cabo/Mexico was negotiated professionally & comfortably with the appropriate legal/escrow professionals to our satisfaction. All of the transaction was smooth, organized with great ongoing correspondence and follow through. I rate Nick Fong at the top rung of his field!! There are many agents out there but not many who have the passion for their craft like Nick Fong. My family and I are looking at moving to the Baja California Sur area and we have made a trip down to see some businesses and residential properties that had been hand picked Nick. He knows the market and understands his clients extremely well. Not only had he made the experience beforehand, during our trip and afterwards so easy and relaxing but we are stunned at his due diligence on our behalf in representing one of the most important decisions in our family's life and our potential relocation to Mexico. We have not decided yet as to our plans but Nick's patience and follow through is making what might be a very stressful time in our lives much more rewarding. If this is what we have to expect so far at this point, I can only imagine how effortless, straightforward and wonderful this experience is going to be when we actually close on a property. Kudos Nick. Hello, I recently spent a morning with Nick Fong looking at properties in Cabo San Lucas! I want to thank Nick for picking me up and having a great tour of places ready for us to view. Gracias! I would highly recommend his professional and friendly services to anyone looking to purchase in the Los Cabos area. His knowledge of the area is excellent, his Spanish is great, and he lives in Los Cabos himself (along with his wife and two kids). My husband and I are looking for a vacation property and will continue to be in contact with Nick as new places arrive on the market. 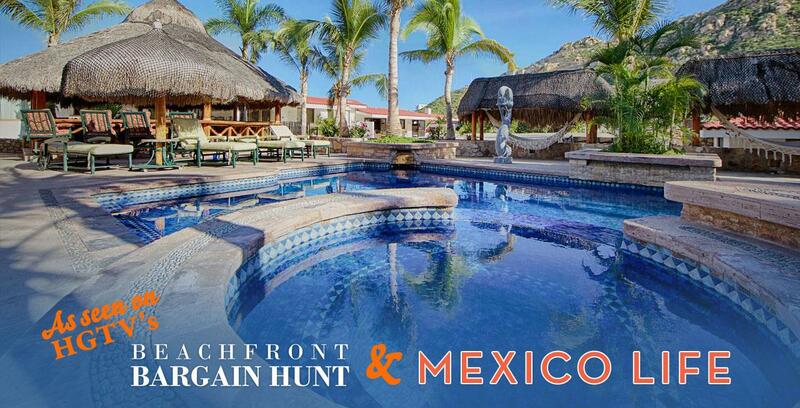 It's an active market in the Los Cabos area and Nick is definitely the realtor of choice! Gracias!!! I had the great pleasure of recently meeting Nick while vacationing in Cabo San Lucas, Mexico. Nick picked us up from our condo around 9:00 am to about moon. He asked lots of great questions in order to ascertain what our wants, desires, needs, and price points are. Based on our info, he started showing us some great prospects. At one location we saw about 6 condos - 2 and 3 bedrooms. Then Nick took us to another 5-6 locations showing us condos and even some houses that were within our price point. He hit the nail on the head!!!!! Nick answered all of our questions - general questions about life in Cabo (places to go, sight seeing opportunities, restaurants that serve all types of food with varying price points. He also answered all of our novice questions about owning rental properties here in Mexico. Nick understands the real estate market in Cabo. He represents lots of sellers and buyers. He was a super nice guy with a warm, joyous, and engaging personality. He is the man to go to if you're interested in buying in this area. Thank you Nick!!!! You are awesome to work with!!!!! As a seasoned real estate buyer and commodities day trader, the greatest compliment I have for Nick is that he was honest with us. The good, bad, ugly . . . he gave us a clean, honest perspective on everything. Really very thrilled with the service Nick offered. It would not be an exaggeration to say he is the best broker we have ever worked with. . . .
My name is Jerry Brockett. I live in Glendora California, and for over a year I have Been searching the web for vacation Condo in CSL. Over time I connected with several agents from different companies. Nick turned out to be the best, he wasn't pushy, an occasional call checking in, and with listings of interest sent via email daily. We meet in person months later And spent part of a day checking out properties of interest. About month or so I was able to purchase one that I had viewed earlier at a reduced price. International real estate transactions can be a little nerve racking, but Nick Was there every step of the way. We started working with Nick long before our dream to become home owners in Cabo became a reality. He kept us up-to-date and informed us on market conditions and was always prompt in responding to any questions. When the property search began he spent a lot of time with us, exploring many different options so we could make informed decisions. We were a little nervous about buying in Mexico, but Nick helped make the entire process very smooth. We highly recommend Nick's real estate services in Cabo. We first got introduced to Nick Fong by watching HGTV on a tv show called international house hunters. We have been visiting Cabos San Lucas for years and wanted to fulfill our dream of living there, so we gave him a call and started the process. Nick guided us from that first call all the way to us moving to Cabo. We have since purchased a beautiful home through Nick, which is being completed shortly and are renting a beautiful home that Nick had listed and has since sold. As a realtor, neighbor and friend, Nick is professional, responsible, timely, courteous and always available to help in any way. Living in our new environment of Mexico we have had to consult with Nick on numerous issues. His professionalism, integrity and high standards separate him above the rest of the crowd. We are proud to to call him our friend. Thanks Nick for helping make our dream come true. As first time international property purchasers, Nick walked us through the buying process from start to finish with patience and professionalism. He not only found the perfect property to meet our needs, but connected us with his network of experienced professionals to help turn our property into a profitable investment. Nick is not only an experienced expert in the Cabo housing market, he is a pleasure to work with and made every effort to create a pleasant, smooth and worry free home buying experience for us! I would like to take a moment to thank Nick Fong for the excellent, professional, friendly service I experienced as his client while purchasing my vacation home in Cabo San Lucas. I must admit, being from the U.S. and a single female, I was scared and overwhelmed about the thought of buying a vacation home in Mexico. It must have been my lucky day as I searched the web and Nick Fong’s name popped up! After the initial phone call with Nick, I was convinced that buying a home in Mexico would work as smooth as a U.S. real estate transaction. He explained the whole process, from the down payment, Mexican trust, closing cost, etc. Nick also took the time to understand what I was looking for in a neighborhood, my price range, and other needs. Until I was able to get to Cabo San Lucas to view homes, Nick kept me informed by emails of current listings, price reductions and general info about Cabo and the current housing market. If I had questions, I always heard back from Nick in that same day, if not within the hour. When I arrived in Cabo San Lucas, Nick made an appointment to show me houses. He was prompt in picking me up, very friendly and showed me only homes that fit into my needs. Within 2 days I found my dream home and the buying process started. Nick knew I was only in Cabo for a week and arranged everything we could do for the purchase during that time so I would not have to handle things from the U.S. or come back to Cabo for the closing. We started up escrow, had the home inspection completed and set up a POA for the closing all before I had to return home to the U.S. I went home feeling secure in my decision of the home I purchased and felt that everything would be taken care of before my closing date. I truly appreciate and trust. I can say nothing but good things about Nick Fong. He not only is a super realtor with many years of experience but also so in tune with everything in the Cabo San Lucas housing market. He is also someone who goes the extra steps in helping his clients with other non real estate needs, such as hotels, car rentals, restaurants, home stores, furniture stores….he knows it all! My experience with Nick wins an A plus!. Thank you, Nick, for helping me to purchase a beautiful vacation home in the Ventanas! After coming to Cabo every year for 18+ yeas, Greg and I decided it was time to consider buying a place here. That was when we met Nick. It was one of the luckiest days we ever spent in Cabo. It has taken us almost 3 years to actually buy and Nick has been fantastic. Last 3 years we have been coming to Cabo twice a year and extending our visits each time. And Nick was always there. He is very knowledgeable and so helpful with suggestions of places to see, along with showing us places we had picked out ourselves. Nick made it fun! Finally this past February, Greg and I found something we both wanted and Nick made it happen for us. He took care of everything, walked us through all processes, held our hands when things took small back steps as they sometimes do. Nick would just would fix them. He is such a pleasant person to be around and his positive attitude, experience and never ending patience has made this purchase enjoyable. Plus the fact that he is just a really nice guy. Thank you Nick!! Without you,this new home may have never happened! Nick Fong is your go to guy. Thanks! Nick, it's hard to believe it's been almost 1 year since we closed on our home in Palmilla. We are spending more and more time in Cabo and absolutely love it! Thank you for helping us making our dream come true. We worked with several realtors before finding you. You run circles around the others. Your knowledge and desire to help us find what we wanted made the process so enjoyable. If and when we upgrade, we wouldn't call anyone else but you! 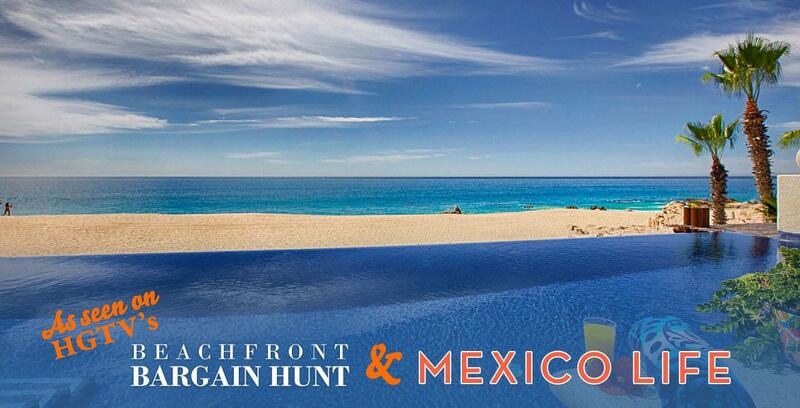 We're still trying to get some friends to buy in Cabo too! You're definitely our realtor!! This a quick note to thank you for the great job you did on selling my condo in Cabo San Lucas. It was sold for more money than I expected and was only on the market for a few months. I appreciate your advice and professional approach in all your dealings. You made the whole process seamless. Also thanks for the time you spent with me showing houses. I am extremely happy with the house you helped me purchase in Ventanas sub division. You took the time to work with me, and get what I wanted. You were always patience and did not pressure me at all. You were only concerned in getting what I wanted, and you provided great advice and comparisons. Nick it was a pleasure to work with you thanks for everything. Hope to see you around Ventanas, when I take possession of my new house. We used Nick Fong for our condo purchase in Cabo San Lucas in 2013. Nick is very knowledgeable about the local real estate market and helped us out a lot, showing us exactly the properties we needed to see. He responded to all our e-mails, calls, and questions promptly and had good information. His explanations of how the Mexican process differed from the Canadian process were helpful. Also, Nick's estimates for closing costs, furnishing costs, and other third-party costs were accurate which helped us with planning. We have recommended Nick Fong to family and friends back home since he made the whole process very easy for us and we would be happy to work with him again. I just wanted to write this note to let you know what a pleasure it was to work with you during the purchase of my condo in Cabo San Lucas. Never in my life would I have imagined that I would be able to purchase a condo in Mexico while I was still in Canada but you made this process extremely easy and straightforward. There was a set process for every step of the way and I appreciate the way you led me through it. I liked the direct approach and the speed at which the transaction moved. I also appreciate how you made yourself available to answer questions and made me feel like no question was off-limits. This really helped me understand what is required to purchase a property safely in Mexico. 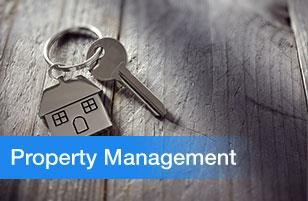 Your personal ‘network’ of lawyers, property management professionals, and support staff have also been a great help. Again, thank-you for making what could have been a stressful time, painless. I am happy to recommend your services to others. It isn't very often these days that you can complete any kind of transaction and be 100% satisfied with how it went. I can say that Nick at Los Cabos Agent has done just that. I believe our journey started in October of 2010. Nick found us a nice rental and had everything set up when we arrived. Over the next week he met with us several times and we toured many properties. As buyers we were all over the place and our price range changed several times. 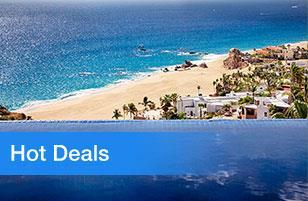 Over the next two 1/2 years we would meet once or twice a year in Cabo and look at properties. I always told Nick it would be a long process but he never once complained or even acted in the least bit bothered by our constant change of plans and price changes. I was purchasing with a family member so he was trying to please several people at once. Needless to say it was not easy for Nick and he was the most professional person I have ever met in real estate. Finally in January of 2013 we found the right place. Closing was easier than any house I have ever bought in the states. Nick's complete knowledge of Cabo and surrounding areas always impressed me. He has continued to be a great source for information. I want to say that not only will he always be my agent in Mexico but I will count him and his family as friends. In short, no other opportunity has afforded me the chance to work with someone so well suited to their craft. He made buying a home in Mexico easy. We can't thank you enough for your professionalism, expertise, and hard work in helping us find our home in Cabo San Lucas. We love our home, the neighborhood, and the community! As we started to look (from Colorado), the mailings you sent, along with your website, were extemely helpful as we were going through our initial decision process. After we decided to buy in Cabo, your years of experience in this market really came into play. Your knowledge of the neighborhoods, home construction, and attention to our other needs ( insurance providers, Attorneys and Notaries), was so valuable and helped guide us in making the right decisions. In fact, we have already recommended you to friends. Thanks again. Buying a home in Los Cabos? You gotta have Nick as your agent! His true to his tagline, by far the Cabo Agent you can really trust. He's very professional, easy going, responsible, on it. Dedicated, he walks you through the whole buying process until the property is yours. There is no other agent out there that can shadow his services. He's the best! Los Cabos Agent first contacted me two years ago after I had placed an inquiry through his website. They were inquisitive and attentive while gathering information that would help them hone in on the property that best met my needs. They efficiently organized several showings in the San Jose and Cabo areas for my visit a few weeks later. They presented many properties that were to my liking but one in particular really excited my dreams of living in the Cabo area. I returned stateside and Los Cabos Agent continued to negotiate a deal for this property in my absence. Over several hours and numerous phone calls, they walked me through negotiations, counter offers and closing procedures - providing every detail I requested of them. Unfortunately, during these negotiations, an unexpected loss of a dear family friend shook my world and the time was no longer right for me to make this purchase or the move to Cabo. Despite all the hours spent, for not, Los Cabos Agent showed compassion and understanding. We reconnected a year later and picked up where we left off. 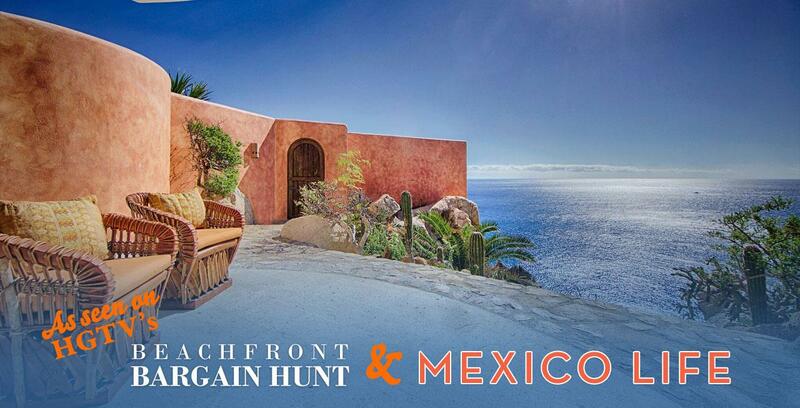 Remembering exactly what I was looking for in a home, Los Cabos Agent and I found my new home in short time. During my first months in Cabo Los Cabos Agent has continued to guide me through unfamiliar territory, has welcomed me into their family's Holiday celebrations and has shown repeatedly that I have, not only the best real estate agent, but also a friend in Cabo. Buying real estate is always a challenge but when you are away from home, that is especially the case. 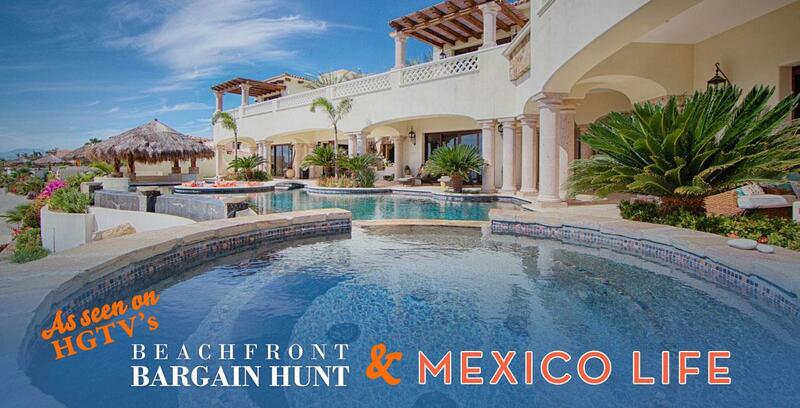 We worked with Los Cabos Agent for over 8 months trying to find “the right” Los Cabos property, and though the process was not always seamless and stress free and if we were to do it over again we would likely do things differently, we still feel that we were lucky to have Los Cabos Agent as our agent and would work with them again. Los Cabos Agent showed us dozens of properties during our visits to Los Cabos and gave us feedback and information on even more we searched thru the internet, they was always patient, professional and friendly. Los Cabos Agent was able to narrow down what we really liked and disliked quickly and their extensive knowledge about the market conditions and prices were invaluable to our search. We always felt that they genuinely wanted to find us the right property at the right price and was willing to do whatever was required to make that happen. We didn’t just buy a property in Los Cabos, we made a friend in Los Cabos as well! Nick guided us through unfamiliar territory with care and patience. Not only was the purchase of our home the first in mexico, but our first in general. With so many unknowns the experience could have been a disaster.. instead it was hassle free. Los Cabos Agent really is a Realtor you can trust, and I am very grateful he helped us find the home that we love for a great value. Ric and I were fortunate to have found Nick while looking for a second home in Cabo. He made contact with us in Houston because I had visited their website. He took charge from there and held a couple of hour long conference calls with us to gain a feel for what we were really looking for. From there he was able to organize our efforts and was able to steer us in the right direction with his familiarity of the area. Over Thanksgiving, with only a few days to look at properties, Nick provided the much needed focus that allowed us to view several properties across the San Jose/Cabo area. His patience truly made for a great overall experience for us. When we found the right place, Nick went to bat for us and was able to get us a great deal. We felt such confidence and trust in him that we had Nick close for us in Cabo through power of attorney, as we were both unable to travel at the time due to work conflcts. He did a great job and has since offered us many helpful hints on living in Cabo. He even took me to look at furniture! I would recommend Nick, without a doubt. He truly is a great agent and wonderful person. Nick located my property before it came back on the market and negotiated a terrific deal. Very professional and his follow up is excellent. I would highly recommend him to all my friends and family. Nick did a wonderful job keeping us informed on all the properties several months before we arrived in Cabo. His guidance and honesty was extremely helpful for us to make the right purchasing decision. We felt extremely taken care of and I would highly recommend Nick to anyone looking for property in Cabo. Nick Fong takes a special interest and values the clients that they serve. Nick Fong came highly recommended and has absolutely gone above and beyond to help us find and buy our piece of Cabo paradise. Commanding knowledge of the area and RE market..he showed us lots of options in our price range and let us make the decisions. Truly professional...the only realtor we would consider using in Los Cabos. We had corresponded with Los Cabos Agent by email prior to meeting them in Cabo and were impressed by their in-depth knowledge of the area and pleasant attitude. During the 3 trips to look at properties in San Jose and San Lucas, Los Cabos Agent was attentive and helpful in showing properties we had selected as well as options that he suggested. They has a wealth of information and answered many questions regarding purchasing and living in Mexico. They represented both buyer and seller in our particular transaction, however as the buyer we felt confident that their guidance was professional and balanced. So, if you are looking for a realtor in Cabo, look no further. Los Cabos Agent’s expertise is countered by their low-key style which makes them a pleasure to work with. We’re looking forward to working with them again. 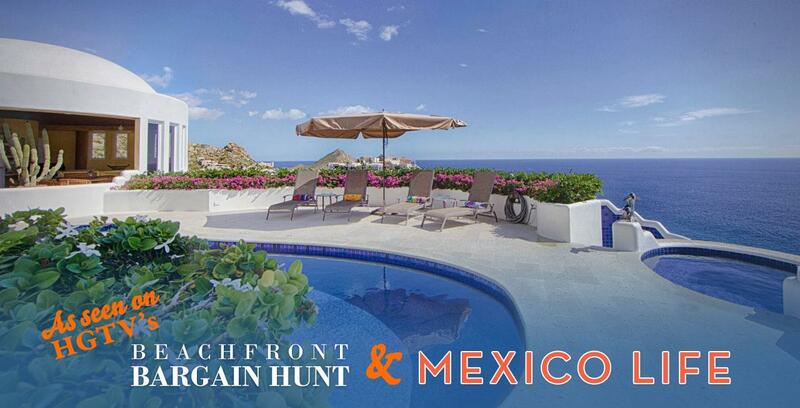 Los Cabos Agent is a cut above the rest. My real esate transaction with Los Cabos Agent was a pleasure due to their gentle guidance and strong communication skills. I felt confident that Los Cabos Agent was accurately and ethically representing my best interests at all times. As an international Buyer I not only had the normal "first time buyer butterflies" but all the apprehension and insecurity of doing business in unknown territory. With Los Cabos Agent as my guide the process was explained clearly and all questions were answered promptly. Los Cabos Agent was always accessible and I was made to feel like one of his "special clients", regardless of my price point. Los Cabos Agent is as delightful on the phone as they are when we met in person. I strongly recommend Los Cabos Agent for real estate in the Cabo San Lucas area and I can't wait to work with Los Cabos Agent again! I started to communicate with Los Cabos Agent while still living in St. Petersburg, Russia in 2006. I had been there for fifteen years and I was in the middle of yet another brutal Russian winter when I got on line and luckily found Los Cabos Agent eager to answer my questions and concerns about living in Mexico. It was over a year before I actually met Los Cabos Agent, but I was overwhelmed by their professionalism combined by his prompt attention to details. Upon my arrival in Cabo, Los Cabos Agent greeted me with his big smile that should be an attraction unto itself. They made my hotel arrangements, escorted me into the city, and made sure I had everything I needed to be comfortable. We did not discuss business for many days as I just needed time to soak up the luxury of Cabo and all it has to offer. 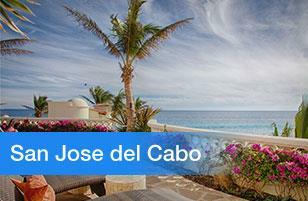 Los Cabos Agent is as easy to get to know as a favorite old pair of jeans...soft, comfortable, and easy. Once we did get down to business, I found Los Cabos Agent to be a font of must know information to make million dollar decisions, and better, if they did not know the answers to my questions, they made a call and got another professional on one of their three phones! I have bought and sold a lot of real estate in my life, but Los Cabos Agent is a one of a kind agent...more like a "super agent"...as everyone who deals with them will find out. Hi Nick, I want to thank you very much for you and your team's work on the successful sale of my house. It was a great relief to let everything in your professional hands. I am very happy with the results and I thank you again for your help and support. Nick did a great job selling our house quickly for top dollar. Though we have sold many houses in the US, this was our first sell in Mexico. It was sold for more money than we expected and was only on the market for a few months. We appreciated your advice and professional approach in all your dealings. You made the whole process seamless. Our plan was to build another house in the same development without using a realtor. We were not fully sold on the idea but having built with the developer before we understood what to expect. Nick opened our eyes to other experiences and locations in Cabo San Lucas. Thanks to Nick, we were introduced to a great development that we are excited to be part of. Nick, Terry and I enjoyed working with you and will continue to use your service in the coming years. We hope others who are looking for a realtor will go with you! We have been working with Nick Fong for over three years. When we needed a tenant for our property after a long term tenant moved out, he found a new tenant within a month, in addition to providing us with a property manager for the unit. When we decided to sell the unit, Nick helped us work through some tenant issues, and then worked diligently to find a buyer - even during the tougher times of the last couple of years. We finally worked out terms with a prospective buyer, within the boundaries we set to sell the property, and it closed surprisingly quickly with few problems along the way. When problems came up, Nick helped us through them efficiently and to our satisfaction. We had heard about Nick from other property owners in the area that eventually sold their properties. He had a great reputation for being honest and straightforward, so when we needed a real estate agent, there was no doubt that Nick would be our guy. He responds quickly to questions and problems and communicates clearly with the necessary information to resolve issues. I highly recommend Nick Fong for your real estate needs in Los Cabos. I used Nick Fong for the sale of my condo this past week. From the start, he was a huge help. He helped me decide what needed to be done to present the condo for sale in the best light, while minimizing the costs of those fixes. He helped me price the condo correctly and react to changing market dynamics. He advertised the condo well, and took nice photos that were put on an advertising web cite, both for local agents and buyers. He was timely, efficient, and appropriate in his dealings with offers, and guided me and the buyers through the closing process in the same manner. To be honest, this was a not an easy sale, and Nick had to deal with a number of issues that were truly beyond the usual domain of the realtor. This could have derailed the sale and he handled them extremely well. I would highly recommend Nick to other sellers and to buyers as well. I am writing this letter in support of Nick Fong, "Your Los Cabos Agent". Our Cabo Bello Partnership owned a property in Cabo Bello for 20 years. We had always planned on building but it just never happened. It came to pass that we decided to sell the property. I was the owning partner as I was born in Mexico. The process to own and sell property in Mexico if you do not live there has changed over the years. I was unable to go to Mexico to sign papers. Nick supported me throughout this process giving me information as needed. He was always readily available either by e mail, text or phone. Without him, this would have been a much more arduous process. Thank goodness for Nick! He made the sale happen! Thanks to Nick Fong, we listed and sold in 60 days. Full price, cash offer. Experience counts down here and Nick has it. Without it we would have not ever got the paperwork done. Thanks again Nick, great job. We sold our home with Nick, and were very happy with the service he provides. I contacted Nick Fong when I had an unsuccessful attempt in selling my condo with another agency. Nick put forth a strong effort in showing my condo in a very difficult market. They provided valuable showing feedback and marketing report that was vital to me making important decisions on selling my condo. I was very fortunate to find Nick as an Agent and would recommend him to any Seller wanting to sell their property in Cabo. I want to express my appreciation for your help in selling my condos especially during these difficult economic times. Your professionalism in keeping me aware of the interest and potential offers and being available whenever I called is a true example of someone who cares about their clients. Your newsletters and website let us know about what's going on in the industry as well as giving informative tid-bits about living in Mexico (explanations of national holidays, culture, social facts, etc). 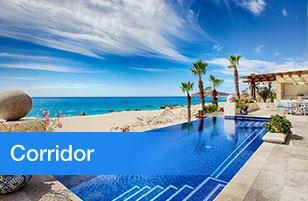 I highly recommend your services and consider you a top-notch realtor in Los Cabos. To say we had a unique Mexican real estate deal would be an understatement. I was referred to Nick Fong by a few Cabo locals that had heard very good things about them. I was in an interesting spot at the time as I’d just inherited a nice home in Palmilla from my mother and needed to sell it as soon as possible. Timing aside, there were also a few other curveballs. As it was a piece of inherited property in Mexico, there were a number of legal hoops to jump through in order to position the property for closure (let alone find a buyer). We all knew heading into it that is was unorthodox and would require several steps before closure. Nick took a step back, surveyed their strong network of local professionals (legal, escrow, etc. ), and put together a closure plan that paid off. His communication style and transparent approach was key in this deal. Without his professional management, this would have been an extremely difficult deal to pull off. Nick went above and beyond and I’m happy to have met him both professionally and personally. It wasn’t too long ago that I was reading through these very testimonials when I decided to choose Nick Fong as my Cabo agent. Looking back now, I’m glad I did. 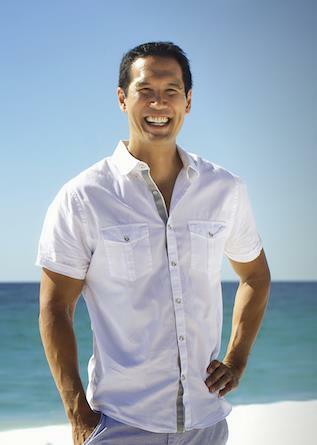 Nick Fong is a highly recommended professional partner in any Cabo real estate transaction. We want to thank you and express our most sincere gratitude. There are many real estate agencies to choose from these days and fortunately for us we found you. The very moment we contacted you, you wasted no time in connecting us with the right clients, and completing the sale of our property in a timely fashion. We are so pleased that we chose to do business with you. In our opinion your professional and personal service was beyond our wildest Expectations. YOU ARE THE BEST!!! Thank you so much for selling our house so fast. It’s amazing that we were able to get everything done and closed in 10 days from acceptance of the offer. This is thanks to you and your knowledge of procedures in Mexico. We appreciate your attention to details in making sure that we had the proper paperwork filled out accurately and in a timely manner. We have never had a real estate transaction go so smoothly and quickly. I would recommend you to anyone that I know who is selling a home or looking to buy one. Thanks again. I must say that even with the stark differences of selling real estate in Mexico compared to the U.S. Nick was very professional and made our experience quite enjoyable. He went above and beyond our expectations and we would use him again in future Mexican real estate transactions. Thanks Nick…. I have been a full time resident in Cabo for years. When I needed to sell my place in a challenging market place, I knew Nick Fong was the perfect real estate broker. Nick not only delivered, but exceeded my expectations. In just a few weeks he brought me a fair cash offer. Great Job Nick and I will certainly recommend you to my friends. Nick Fong listed my Ventanas home for sale and in a very difficult market due to the economy and competing Developer inventory. To top things off handling the challenge of renters while selling my home, I tip my hat off to Nick for a job well done. I would recommend him in any listing sale of your Cabo Property. 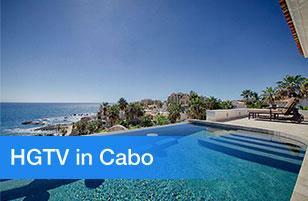 As a California Broker, I lived and worked in Cabo San Lucas for two other real estate offices for four years. While in Cabo, I was fortunate to have worked with Nick on a number of transactions including my personal property. Not only was Nick always professional and ethical, he knew the market in Los Cabos well! He took care of business, took the time to follow up and communicated with you. And his marketing is awesome. Even though I left Cabo two years ago, I still enjoy his invaluable emails regarding the market and life in Cabo. He would be the Agent I would recommend to buy or sell in the Los Cabos area!! I moved to the area a few months ago. I've been selling resort real estate all over the world, from Dubai to Costa Rica, and I have to tell you....you do a better job keeping your database informed about real estate and interesting factoids than anyone I've ever come across. It's a true pleasure to watch you ply your craft....and...I actually like getting your emails. They're very informative.